We hope you enjoyed last week’s Grindhouse Giveaway! The action figures and accessories are now on their way towards one lucky fan’s mailbox. This week we’re revisiting one of our favorite classic comedies in 1984’s Ghostbusters! 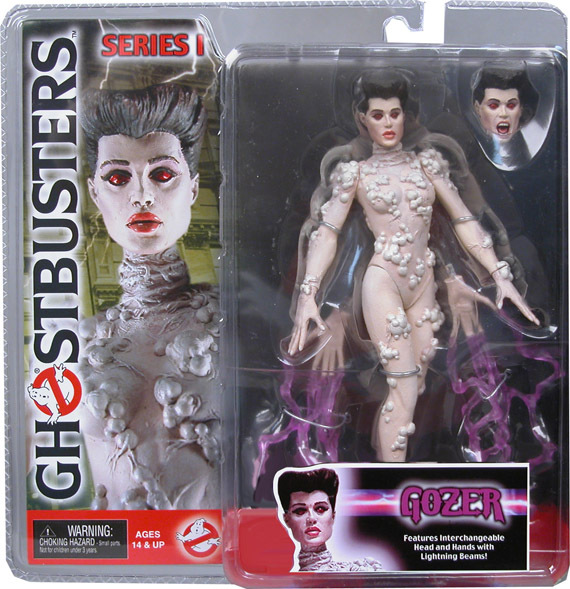 This poseable action figure comes with interchangeable heads and two sets of hands (one has lightning beams). This spooky string of party lights feature 10 lights on a 10′ strand! 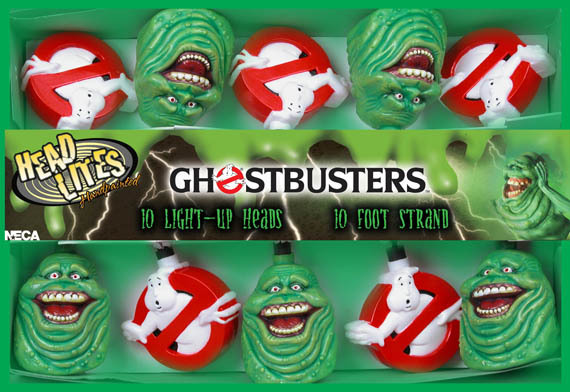 Lights are about 2″ high and alternate between Slimer and the Ghostbusters logo. 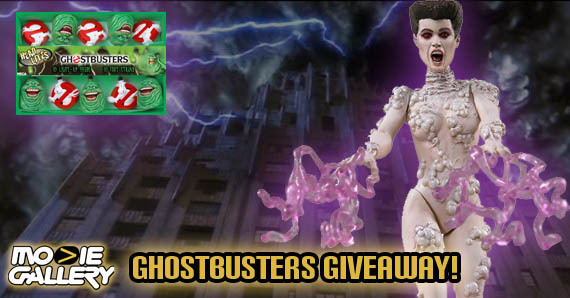 This entry was posted in Contests & Giveaways, The MG Blog and tagged ghostbusters, ghostbusters figures, giveaways by mgadmin. Bookmark the permalink.